You stand in the wine store or supermarket, surrounded by thousands of bottles of wine. You know roughly what you want to buy – a fruity red, an easy drinking rosé or a white suitable for that fish dish perhaps – but how to choose between the huge range of wines (and prices) on offer? Me, I’m a sucker for wine awards. I know some of you are cynical, and I know that the bottle on the shelf next to an award-winner can be just as good, but if a jury of experts comparing one hundred Cabernet francs think they have found something special and awarded it a medal, that’s good enough for me. Not all award schemes are of equal value, of course. All over the world and all over the Loire Valley, little wine shows and country festivals are awarding medals to local wines. But the major award schemes are organised and adjudicated by national and international experts and should be taken seriously. They certainly help to narrow down the choice. What competitions should you look out for when selecting Loire Valley Wines? The Loire has its own scheme attached to a major wine-trade fair held each year in Angers the Salon des vins de Loire. The Concours des Ligers held each April are extremely well respected and only Loire wines are included. 126 Ligers d’Or (Gold), 192 Ligers d’Argent (Silver), 203 Ligers de Bronze (Bronze) medals were awarded last year (2014), judged by a panel of 312 professionals – sommeliers, wine specialists, producers and journalists – who tasted and marked 2029 Loire wines (white, red, rosé and sparkling wines). The Concours des Lys was originally a competition only for wines from the Anjou and Saumur vineyards but since 2001 has included wines from Touraine and the rest of the Loire Valley. Tasting is again held in April with a jury consisting of wine producers, dealers, brokers, vineyard and wine specialists, restaurant owners, sommeliers and amateurs, who come together to award the Lys to the top wines of the Loire vineyards. Paris is host each year to the Agricultural Fair and the authoritative Concours General Agricole since 1870. Recognised for its impartiality, it is the only state controlled competition and attracts more than sixteen thousand wines from throughout France. Over 3,000 specialists judge the wine, awarding Gold Silver and Bronze medals to those who make the grade, and Awards of Excellence to producers for consistent high quality. The 2014 Award of Excellence for wines of the Val de Loire and Centre regions went to Muscadet producers Chateau de La Ferté in Vallet. The Loire did very well in the medals and in our immediate area, the Touraine, 55 medals were awarded. The Concours des Grands Vins de France has been running since 1954 and is highly respected. Between 9,000 and 11,000 samples are accepted each year, reviewed by 2,100 tasters hailing from 19 countries. 2,558 medals were awarded in 2014 (around 28% of entries), with 608 gold medals, 741 silver and 1,209 bronze. The Loire Valley clocked up 30 medals this year, several awarded to wine makers I visit on a regular basis. These wines are worth looking out for particularly as the majority of them are available through the major retail outlets – at least, they are here in France. The Union des Oenologues de France, the official professional winemakers’ organisation, organises two major wine awards – one for Rosés – the World Rosé Competition – and another for wines in general – the Vinalies. In rosés, three vineyards I know well have won awards: Couly-Dutheil and Pierre & Bertrand Couly, both from Chinon, collected Gold medals in 2014, while the co-op La Gourmandière won a Silver for its Gamay Rosé. 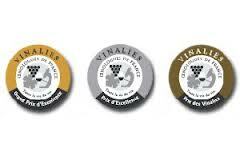 The 32nd Vinalies competition gave awards to 106 Loire wines in 2014. I’m still working my way through the list of gorgeous wines! 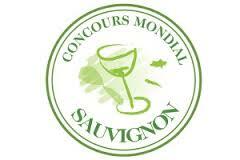 Concours Mondial du Sauvignon –the world Sauvignon blanc competition – is based in Brussels but includes committee members from the world of wine around the globe. In 2014 a total of 71 Loire Valley wines won awards, several vineyards in the list being well known to Loire Valley Wine Tour clients. I have always maintained that the Loire, particularly our end of it, is where some of the world’s best white wines are produced and this completion adds weight to my argument. Today, there are roughly four main styles of Sauvignon globally, with a few variations intent on keeping our palates interested. On one hand we have warmer climate, softer, fuller bodied, fruit and barrique-driven Bordeaux and New World Fume Blanc styles. On the other, we have cooler climate, finer bodied, higher acid, floral-herbal driven styles from the Loire and New Zealand; it’s a remarkable grape producing fascinating wines. The 5thedition of the Concours will be held in Italy in May 2015. Chardonnay du Monde competition (21st edition in 2014). Another single grape variety completion looking at wines from 40 countries, with France well represented. A few Loire wines have been awarded medals, despite the region not being a major producer of this variety. Chardonnay is the most popular white wine grape in the world, but in the Loire Valley it is used as a blending grape. 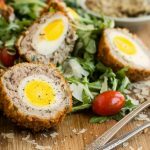 It adds structure and richness to sparkling wines and can be used in several still white wines, but it never makes up more than 20% of the blend. Just occasionally you find a 100% Chardonnay, labelled as a Val de Loire or Vin de France. 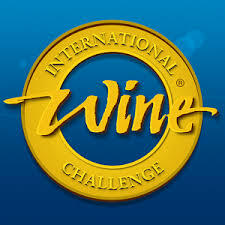 The International Wine Challenge. Now in its 32nd year, the IWC is accepted as the world’s finest and most meticulously judged wine competition which assesses every wine blind and judges each for its faithfulness to style, region and vintage. Throughout the rigorous judging processes, each medal-winning wine is tasted on three separate occasions by at least 10 different judges and awards include medals (Trophy, Gold, Silver, Bronze) and Commended and Great Value awards. Nearly 160 Loire wines won awards in 2014 with Loire Chenin Trophy and the International Chenin Trophy going to white Saumur of Château de Targé. The International Wine and Spirit Competition (IWSC). Established in 1969, The International Wine & Spirit Competition was the first competition of its kind, set up to seek out, reward and promote the world’s best wines, spirits and liqueurs. Now in its 45th year, The IWSC’s relentless pursuit of excellence underpins every aspect of the competition today. What sets the IWSC apart is the formidable reputation of its judging process. The panels of carefully selected industry experts comprise Masters of Wine, buyers, sommeliers, WSET qualified educators and respected wine journalists. 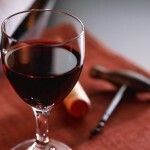 Every single wine is assessed on its own merits within the context of its class. Currently receiving entries from around 90 countries, the IWSC is truly international in its reach and recognition. Monde Selection International Wine Contest. This international wine competition, based in Brussels, attracts samples from over 20 different countries to its blind tastings. Concours International de Lyon. In 2014, some 3,685 samples from 22 countries were tasted. International tasters from all sectors of the wine industry (oenologists, sommeliers, restaurateurs, producers, wine shop owners, as well as knowledgeable consumers) have made this competition an important event. The position of honorary president alternates between a well-known sommelier and a master chef from Lyon. 42 Loire Valley wines won awards this year. 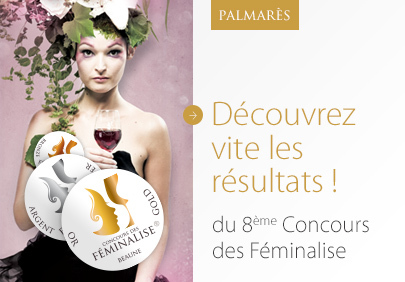 Féminises is unusual as the judges are female wine industry professionals or wine lovers. The ladies seem to appreciate Loire wines, with 104 medals awarded this year. In the major wine consuming countries (France, Germany, the USA and so on) more than 70% of women buy wine for the household so winemakers are taking this competition seriously. The Sommelier Wine Awards are organised by the UK trade magazine Inbibe, with a judging panel of professional sommeliers. With no less than 266 medals and 100 commended wines, France won nearly as many awards as Italy and Spain put together. 2014 Loire results: Gold: 3; Silver: 10; Bronze: 2; Commended: 7 with Sancerre doing particularly well. Decanter is a UK specialist wine magazine with some of the most notable wine writers contributing; it is one of the few journals I subscribe to. The Decanter World Wine Awards highlighted 174 Loire wines included a number of our favourites. It describes itself as world’s largest and most influential wine competition. Finally, a number of wine guides award medals and commendations each year, some of the most well respected being: Guide Hachette, Gault & Millau, La Revue du vin de France, Bettane+Desseauve and Robert Parker’s The Wine Advocate. A copy of the Hachette Guide (in French only) is always with me on my travels and we use it to seek out the best producers whenever we visit a wine region which is new to us.